As a current Providence College Friar and a native Rhode Islander, I am passionate about our state and capital city. As a millennial, I want to ensure that future generations have the building blocks necessary to thrive and make a living right here in the Ocean State. That is why the ProJo Editorial board’s piece, “Smart decision on bridges” is short sighted. The idea of turning the decrepit 6/10 Connector into a surface boulevard is about much more than safety. Are there any rendered photos of the boulevard to attach to these articles? I like to share updates on the 6/10 to facebook, but I’m getting the feeling the issue isn’t hooking most people’s attention. A good photo rendering, such as the one that accompanies the update of the Pedestrian bridge (“Projo: Pedestrian bridge moving forward”, 8/15/16), conveys a sense of of vision and progress that can excite and interest people. In the last hour since I’ve posted that article, its received three likes. In any case, thanks for all the hard work you guys put in to covering these issues. The traffic in/through/from Olneyville is absolutely unbearable. The last few weeks I have timed my commute from downtown to Olneyville and it has been in excess of twenty minutes the majority of the time; one day last week it took me 30 and 40 minutes back to back days. Has there been a study conducted for a Olneyville Train Station? Those of us that live in Olneyville, West End, Valley, or the End of Federal Hill/Broadway should be able to jump on the MBTA trains coming from Wickford Junction or the Airport that are headed to Providence Station, at the very least. This would take many vehicles off the road, improve the quality of life, and increase property values in Olneyville. It would spur development in Olneyville and Valley, and perhaps drive more interest in turning Olneyville Square into a pedestrian area instead of a constant traffic jam. 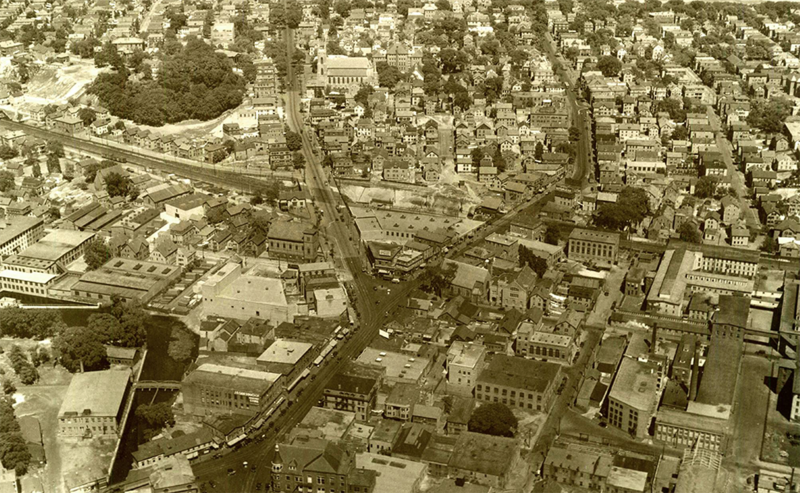 Olneyville was once referred to as “Providence’s Second Downtown”, there needs to be a coordinated effort to build the infrastructure that could make Olneyville more connected and return it to its former glory. Maybe the 6-10 connector is the first project, maybe a Train Station could be the second.